Although Liverpool boss Jurgen Klopp was quick to dismiss talk of the Reds getting an “easy” draw in the semi-finals of the Champions League, there’s no question that the German manager breathed a sigh of relief when the name of AS Roma came out of the pot. Avoiding back-to-back winners in Real Madrid and Bundesliga heavyweights Bayern Munich, the Anfield outfit were handed what’s assumed to be a road to the final with the least amount of speed-bumps along the way. It wasn’t that long ago that Klopp, while in charge of Borussia Dortmund, came up short against Jupp Heynckes “Hollywood FC” as their bitter rivals were crowned champions of Europe for the fifth time. That, of course, was back when German football was undergoing a renaissance that would culminate in Die Mannschaft lifting the World Cup in 2014 boasting a team packed full of the best players from both Dortmund and Munich. Four years later they remain a major force in World Football; you can read more from sportsbet.io blog about the Bundesliga, but it’s Liverpool’s small German contingent that we’re interested in today and how they could play a major role in whether they secure a spot in the finals. Or, at least, that’s the hope. Carrying a back injury, there are whispers that Emre Can won’t play again this season, but Klopp hasn’t given up hope of the commanding midfielder returning to action before it’s all said and done. Unlikely to play any part against Roma, the former Bayer Leverkusen man could well be ready to go by the end of May with his return to fitness being closely managed by the Reds medical team. Now, whether or not the gaffer would consider taking a chance on him remains to be seen. Fitness aside, you have to wonder where his head is at — tipped make a move to Juventus, Can has stalled on signing a new deal at Anfield and could be headed for Turin come the end of the season. 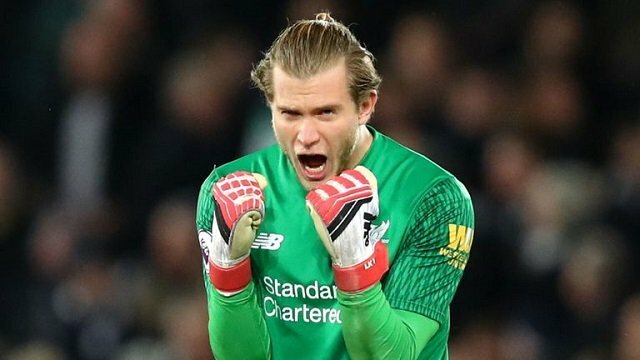 Transfer drama is one thing, but we’d like to deal in absolutes as much as possible and barring any unforeseen circumstances, it’ll be Can’s compatriot in Loris Karius between the sticks when the Romans come to town. The German ‘keeper has gone from strength to strength since taking over Simon Mignolet’s place in the Reds starting eleven and his performances since the turn of the year have justified his spot in the squad. Another Bundesliga transplant, Karius has grown in confidence week in and week out — though he had a pretty easy time of it in the quarter-finals with Manchester City failing to put a shot on target in the first leg. It’s unlikely he’ll have such an easy time during the semi-finals, but it has to be said that Liverpool have what it takes to go all the way. Klopp, aiming to win his first trophy since taking over at Anfield, won’t let his thoughts linger long on the last time his team made it this far, but, we love a redemption story and with Heynckes back in charge at the Allianz Arena, the script is already being written. Roma won’t be a stroll through the Palazzo and Bayern have their own headache in Real Madrid, but if the stars align, it’ll be another distinctly German final — one that Klopp and the Kop will be hoping has an altogether different ending.